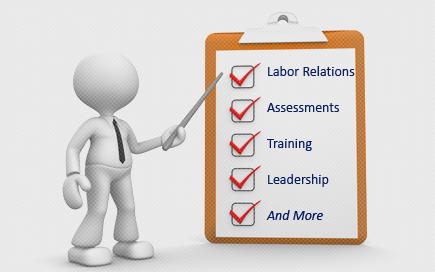 Labor Relations News Update December 2, 2014 | Oliver Bell, Inc.
Ozburn-Hessey Logistics, LLC (26-CA-024057, et al. ; 361 NLRB No. 100) Memphis, TN, November 17, 2014. In view of the Supreme Court’s decision in NLRB v. Noel Canning, 134 S. Ct. 2550 (2014), the Board considered de novo the Administrative Law Judge’s decision, the record, the exceptions and briefs, and the Respondent’s later emergency motion to stay the opening and counting of ballots. The Board adopted the judge’s rulings, findings, and recommended Order to the extent and for the reasons stated in the vacated Decision, Order, and Direction reported at 359 NLRB No. 109 (2013), and adopted its previous dismissal of the Respondent’s emergency motion for the reasons stated in its previous Order of May 13, 2013. In its original decision, the Board adopted the judge’s findings that the Respondent violated Section 8(a)(3) by discharging Carolyn Jones and by disciplining Jennifer Smith; and violated Section 8(a)(1) by unlawfully confiscated union materials, urging union supporters to quit, conducting surveillance of protected activity, creating an impression of surveillance, interrogating employees about their protected activity, and threatening employees. In addition, the Board adopted the judge’s recommendations to reject the Employer’s objections to an election which the Union won by a single vote, to uphold several of the Union’s objections based on the Employer’s post-petition misconduct, and to count six outstanding challenged ballots. Because the Regional Director, in response to the Board’s original Decision, Order, and Direction, had already performed the ministerial tasks of opening and counting the challenged ballots and issuing the appropriate certification, and the revised tally showed 169 for and 166 against the Petitioner, with no challenged ballots, the Board did not require the Regional Director to repeat those tasks, but “in an abundance of caution and . . . to avoid further litigation” issued a new Certification of Representative. Administrative Law Judge Robert A. Ringler issued his decision on May 15, 2012. The charges were filed by the United Steelworkers Union. Chairman Pearce and Members Hirozawa and Schiffer participated. Fort Dearborn Company (13-CA-046331; 361 NLRB No. 109) Niles, IL, November 18, 2014. In view of the Supreme Court’s decision in NLRB v. Noel Canning, 134 S. Ct. 2550 (2014), the Board considered de novo the Administrative Law Judge’s recommended Decision and Order. For the reasons stated in the Board’s vacated Decision and Order reported at 359 NLRB No. 11 (2012), Chairman Pearce and Member Schiffer affirmed the judge’s findings that the Respondent threatened employee Marcus Hedger with closer scrutiny and discharge in violation of Section 8(a)(1). They also adopted the judge’s finding that the Respondent violated Section 8(a)(3) and (1) when it discharged Hedger after he allowed a nonemployee to walk through the plant. Unlike the judge, the Board found that Hedger’s suspension also violated Section 8(a)(3) and (1) of the Act. Member Miscimarra, writing separately, concurred in the decision. Administrative Law Judge Arthur J. Amchan issued his decision on November 30, 2011. Charge filed by Graphic Communications Conference of the International Brotherhood of Teamsters. Chairman Pearce, and Members Miscimarra and Schiffer participated. Ambassador Services, Inc. (12-CA-026758, et al. ; 361 NLRB No. 106) Port Canaveral, FL, November 19, 2014. In view of the Supreme Court’s decision in NLRB v. Noel Canning, 134 S. Ct. 2550 (2014), the Board considered de novo the Administrative Law Judge’s decision and the record, and reaffirmed its vacated prior Decision and Order reported at 358 NLRB No. 130 (2012), finding that: (1) employee J.D. Martin was not a supervisor; (2) the conduct of supervisor Donald May in telling an employee he had assisted in the preparation of the decertification petition and soliciting Martin’s support for the decertification petition violated Section 8(a)(1); (3) the Respondent violated Section 8(a)(5) by failing and refusing to bargain with the Union because the Respondent did not establish that a majority of employees in the unit signed the decertification petition; (4) the Respondent further failed to recognize and bargain with the Union on the basis of a tainted decertification petition; (5) it is unnecessary to address the applicability of the Board’s successor bar holding in UGL-UNICCO Services, Inc., 357 NLRB No. 76 (2011); (6) the Respondent coercively interrogated employee J.D. Martin in violation of Section 8(a)(1); and (7) the Respondent’s rule prohibiting “walking off the job” would reasonably be construed as prohibiting Section 7 activity and unlawful. Administrative Law Judge George Carson II issued his decision on September 13, 2011. Charges filed by International Longshoremen’s Association, Locals 1922 and 1359, AFL-CIO. Chairman Pearce and Members Johnson and Schiffer participated. Altura Concrete Corporation (22-CA-075740; 361 NLRB No. 108) Little Ferry, NJ, November 19, 2014. The Board granted the General Counsel’s motion for default judgment in this unfair labor practice proceeding on the ground that the Respondent failed to comply with the terms of an informal settlement agreement. The Board noted that at the time it issued its original Decision and Order in this proceeding, the composition of the Board included persons whose appointments had been challenged as constitutionally infirm. That Decision and Order was pending before the Third Circuit Court of Appeals on an application for summary enforcement at the time that the United States Supreme Court issued its decision in NLRB v. Noel Canning, 134 S.Ct. 2550 (2014), holding that the challenged appointments to the Board were not valid. Thereafter, the court of appeals vacated the Board’s order and remanded this case to the Board for further proceedings consistent with the Supreme Court’s decision. In granting the motion for default judgment, the Board found that according to the uncontroverted allegations in the motion, the Respondent failed to comply with the terms of the informal settlement agreement. Consequently, pursuant to the noncompliance provisions of the settlement agreement, the Board found that all of the allegations in the reissued complaint are true, and ordered the Board’s customary remedies for the violations alleged, including reinstatement and back pay for the discharged employee. Charge filed by an individual. Chairman Pearce and Members Johnson and Schiffer participated. REM Transportation Services, LLC, d/b/a Ambrose Auto & Autotrans Katayenko (01-CA-112724; 361 NLRB No. 104) Bedford, MA, November 19, 2014. The Board affirmed the Administrative Law Judge’s rulings, findings, and conclusions that the Respondent unlawfully discharged the Charging Party and unlawfully underpaid him his seniority bonus in retaliation for protected activity. The Board rejected the Respondent’s contention that it had legitimate, non-retaliatory reasons for the adverse actions. The Board noted that the General Counsel did not object to the exclusion of evidence from a prior settled case involving the Respondent and Charging Party employee, but also observed that while the evidence of animus presented in this case supported a finding of unlawful motive, generally, evidence involved in a settled case may properly be considered as background evidence in determining motive. The Board granted the General Counsel’s motion to strike documentary evidence submitted with the Respondent’s exceptions, and modified the recommended order’s formula for calculating the backpay owed for the underpayment of the seniority bonus and to provide for electronic notification of employees. Administrative Law Judge Joel P. Biblowitz issued his decision on June 4, 2014. Charge filed by an individual. Chairman Pearce and Members Hirozawa and Schiffer participated. Dixie Electric Membership Corporation (15-CA-019954 and 15-UC-061496; 361 NLRB No. 107) Baton Rouge, LA, November 19, 2014. In view of the Supreme Court’s decision in NLRB v. Noel Canning, 134 S. Ct. 2550 (2014), the Board considered de novo the Administrative Law Judge’s recommended Decision and Order. The Board affirmed the judge’s rulings, findings, and conclusions and adopted his recommended Order to the extent and for the reasons stated in the Board’s vacated Decision and Order reported at 358 NLRB No. 120 (2013), which was incorporated by reference. In that Decision, the Board affirmed the judge’s findings that the Respondent violated Section 8(a)(1) and (5) by altering the unit scope when it removed chief system operators and system operators from the unit without the consent of the Union. The Board also found that this conduct constituted a unilateral transfer of work outside of the unit, violative of the same section of the Act. In finding the unilateral change, the Board found that the Union had not waived its right to bargain over the change. Further, the Board adopted the judge’s finding that the Respondent’s unit clarification petition, to remove the positions at issue from the unit, was untimely filed. The Board affirmed the judge’s finding that such petitions must be filed “shortly after the contract is executed,” and that the 4-month delay in filing here was longer than what the Board has previously allowed. Member Johnson concurred in the finding that the Respondent had unlawfully changed the unit scope without the Union’s consent. Because it would not materially affect the remedy, Member Johnson found it unnecessary to decide whether the same conduct constituted a unilateral transfer of unit work. Member Johnson also concurred in the finding that the unit clarification petition was untimely, but stated that the 4-month delay would not be unreasonable if the parties had agreed on such a timeframe in a side agreement. Finally, Member Johnson noted the Respondent’s citation of a dissenting opinion as a statement of the law, and stated that this was not a “clear” presentation of the facts and law as required by the Board’s Rules and Regulations. Administrative Law Judge Robert A. Ringler issued his decision on January 24, 2012. Charge filed by International Brotherhood of Electrical Workers, Local Union 767. Members Hirozawa, Johnson, and Schiffer participated. Sodexo America, LLC (21-CA-039086, et al. ; 361 NLRB No. 97) Los Angeles, CA, November 19, 2014. In view of the Supreme Court’s decision in NLRB v. Noel Canning, 134 S. Ct. 2550 (2014), the Board considered de novo the judge’s decision and the record. Contrary to the vacated recess Board decision, the Board unanimously adopted the judge’s dismissal of the complaint, and found that the Respondents’ no-access rule did not violate Section 8(a)(1) of the Act. The Board held that the rule, which barred employee access to the hospital except to receive treatment, visit patients, or pursue other duties as directed by management, allowed access to the facility only to employees who were acting either as members of the public or working, on-duty employees. Therefore, citing Tri-County Medical Center, 222 NLRB 1089 (1976), the Board found that the rule did not discriminate against union activity by allowing access for some purposes but not for purposes protected by Section 7 of the Act. Administrative Law Judge William G. Kocol issued his decision on April 8, 2011. Charges filed by Service Workers United, the National Union of Healthcare Workers, and an individual. Members Hirozawa, Johnson, and Schiffer participated. Conagra Foods, Inc. (09-CA-089532, et al. ; 361 NLRB No. 113) Troy, OH, November 21, 2014. The Board granted the General Counsel’s motion to consolidate Cases 09–CA–089532 and 09–CA–090873 with the motion for default judgment in Cases 09–CA–062889, 09–CA–062899, and 09–CA–068198. A Board majority consisting of Chairman Pearce and Member Schiffer adopted the Administrative Law Judge’s finding that the Respondent violated Section 8(a)(3) and (1) by discriminatorily disciplining an employee because she informed two employees that she had placed authorization cards in their locker while on working time. The majority found that the employee’s statement did not constitute solicitation and, therefore, was protected and not subject to the Respondent’s no-solicitation policy. The majority also adopted the judge’s finding that the Respondent violated Section 8(a)(1) by posting an overly broad notice concerning its solicitation policy, which employees would reasonably construe as prohibiting discussions on working time. Having found that the unlawful discipline was a breach of the terms of a prior settlement agreement in Cases 09–CA–062889, 09–CA–062899, and 09–CA–068198, the majority granted the General Counsel’s motion for default judgment. In dissent, Member Miscimarra stated that the employee’s conduct constituted solicitation for which she could lawfully be disciplined under the Respondent’s no-solicitation policy because it occurred on working time. Member Miscimarra would also find that the Respondent’s notice accurately described the its lawful no-solicitation policy and, therefore, did not violate Section 8(a)(1). Because Member Miscimarra would not have found that the Respondent engaged in the unlawful post-settlement conduct alleged, he would not have granted the General Counsel’s motion for default judgment. Member Johnson recused himself and took no part in the consideration of this case. Charges were filed by United Food and Commercial Workers Union, Local 75. Chairman Pearce and Members Miscimarra and Schiffer participated. Tito Contractors, Inc. (05-RC-117169) Washington, D.C. and Maryland, November 17, 2014. Order denying the Employer’s request for review of the Acting Regional Director’s Decision and Direction of Election, and request to reopen the record. In denying review, the Board majority (Chairman Pearce and Member Hirozawa) agreed with the Acting Regional Director that the Employer has not overcome the presumptive appropriateness of the Employer-wide unit sought by the Petitioner. The Board majority noted that the petitioned-for employees work for the same employer in facilities located in a common geographical region and perform skilled and unskilled physical work, there is some evidence that the warehouse employee sometimes assists with other Employer projects besides the warehouse and coordinates shipments and deliveries with other employees, there is no evidence of collective bargaining in smaller units, and no party seeks to represent any of the employees in a smaller unit. The Board majority further noted that the Employer has not proposed any alternative units. Member Miscimarra would grant review and evaluate the record evidence regarding the appropriateness of the petitioned-for unit. Petitioner-International Union of Painters and Allied Trades, District Council 51, AFL-CIO. Chairman Pearce and Members Miscimarra and Hirozawa participated. Prusa Construction, LLC (08-RC-126400) Mentor, OH, November 18, 2014. The Board adopted the Regional Director’s recommendation to overrule the Petitioner’s objections to an election held May 23, 2014. The Board issued a Certification of Results of Election stating that a majority of the valid ballots have not been cast for Petitioner International Union of Operating Engineers, Local 18, and that it is not the exclusive representative of the bargaining-unit employees. Chairman Pearce and Members Miscimarra and Hirozawa participated. FedEx Freight, Inc. (10-RC-136185) Charlotte, North Carolina, November 18, 2014. Order denying the Employer’s request for review as not raising substantial issues regarding whether the Regional Director erred in directing an election in a unit consisting of the City and Road Drivers, employed at the Employer’s Charlotte terminal. Member Johnson agreed that the unit is appropriate, but would rely on the Board’s traditional community of interest analysis and not express a view on the correctness of Specialty Healthcare and Rehabilitation Center of Mobile, 357 NLRB No. 83 (2011)(subsequent history omitted). Petitioner — International Brotherhood of Teamsters, Local 71. Chairman Pearce and Members Johnson and Schiffer participated. Blommer Chocolate Company of California, LLC (32-RC-131048) Union City, CA, November 18, 2014. No exceptions having been filed to Regional Director’s disposition of objections to an election held July 29 and 30, 2014, the Board remanded the proceeding to the Regional Director for further appropriate action consistent with his report. FedEx Freight, Inc. (05-RC-136673) Chester, Virginia, November 19, 2014. Order denying the Employer’s request for review as not raising substantial issues regarding whether the Regional Director erred in directing an election in a unit consisting of the City and Road Drivers, employed at the Employer’s Richmond Terminal. Member Johnson agreed that the unit is appropriate, but would rely on the Board’s traditional community of interest analysis and not express a view on the correctness of Specialty Healthcare and Rehabilitation Center of Mobile, 357 NLRB No. 83 (2011)(subsequent history omitted). Petitioner — International Brotherhood of Teamsters Local 592. Chairman Pearce and Members Johnson and Schiffer participated. VCNCL, LLC, d/b/a Vineyard Court Nursing and Rehabilitation Center (15-RC-114384) Columbus, MS, November 19, 2014. The Board adopted the Regional Director’s recommendation to overrule the Employer’s objections to an election without a hearing. The Board stated that a hearing should be held if the objecting party establishes that it could provide evidence that, if credited, would warrant setting aside the election, but that the Employer did not satisfy this standard for any of its objections. For Objections 3 and 4, the Employer contended that the Regional Director’s Erratum correcting the Decision and Direction of Election materially changed the voting unit description and misled employees, but the Board noted that the Notices of Election posted in advance of the election contained the proper unit description. The Board further found that even if employees were confused by the error in the Decision and Direction of Election, the error itself was unobjectionable as it incorrectly specified that four employees would vote under challenge, and that is less than 10% of the voting unit, and therefore an acceptable percentage of employees to vote under challenge. For Objection 5, the Employer argued that the Regional Director’s issuance of an unfair labor practice complaint several days before the election was the result of a conspiracy between the Petitioner and the Region and required setting aside the election, but the Board observed that the Employer offered no evidence of such a conspiracy, did not explain how the Region could have investigated the Petitioner’s charge differently, how the investigation intimidated the Employer form discussing the charge during the critical period, or how the timing of the complaint’s issuance was in any way objectionable. Accordingly, the Board certified that the Petitioner, Retail Wholesale and Department Store Union, received a majority of the valid ballots cast in the election, and that it is the exclusive collective-bargaining representative of the employees in the appropriate unit. Chairman Pearce and Members Johnson and Schiffer participated. Nistel, Inc. (03-RD-130926) Kingston, NY, November 20, 2014. Order granting the Union’s (New York State Nurses Association) Request for Review of the Acting Regional Director’s Decision and Direction of Election as it raised substantial issues warranting review, but denying the Union’s request for a stay of election. The Board found that the Acting Regional Director erred by affirming the hearing officer’s grant of the Employer’s petition to revoke the Union’s subpoena duces tecum only to the extent that the Union seeks documentation pertaining to whether and to what extent the Employer had – or presently has – imminent and certain plans to shut down its business, or to continue its operations into 2015 and beyond. Accordingly, the Board remanded this case to the Regional Director for further appropriate action, including a reopening of the hearing if necessary, and the issuance of a supplemental decision. Petitioner—an individual. Chairman Pearce and Members Miscimarra and Hirozawa participated. Fedex Freight, Inc. (09-RC-136994) Louisville, Kentucky, Virginia, November 21, 2014. Order denying the Employer’s request for review as not raising substantial issues regarding whether the Regional Director erred in directing an election in a unit consisting of the City and Road Drivers, employed at the Employer’s Louisville Terminal. Member Johnson agreed that the unit is appropriate, but would rely on the Board’s traditional community of interest analysis and not express a view on the correctness of Specialty Healthcare and Rehabilitation Center of Mobile, 357 NLRB No. 83 (2011)(subsequent history omitted). Petitioner— International Brotherhood of Teamsters Local 89. Chairman Pearce and Members Johnson and Schiffer participated. Beacon Sales Acquisition, Inc. d/b/a Quality Roofing Supply Company (04-RD-136516) York, PA, November 21, 2014. No exceptions having been filed to the Regional Director’s overruling of the challenges to the ballots of three employees in a secret-ballot election held October 8, 2014, and his recommendation that their ballots be opened and counted, the Board remanded the proceeding to the Regional Director for further appropriate action consistent with his report. Petitioner—an individual. Union involved—International Union of Operating Engineers, Local 542, AFL-CIO. Community Support Network (20-RD-117284) Sonoma County, CA, November 21, 2014. No exceptions having been filed to the Regional Director’s recommendation to overrule the Employer’s objection to a secret-ballot mail election held August 13 to August 27, 2014, the Board certified that a majority of the valid ballots were cast for SEIU, Local 1021, and that it is the exclusive collective-bargaining representative of the employees in the appropriate unit. Petitioner—an individual. Advanced Services, Inc. (15-CA-130830) Los Angeles, CA, November 19, 2014. Order denying the petition filed by the Employer to revoke a subpoena duces tecum. The Board found that the subpoena sought information relevant to the matter under investigation and described with sufficient particularity the evidence sought. Further, the Board held that the Employer failed to establish any other legal basis for revoking the subpoena. The Board noted that to the extent that the Employer has provided additional requested material it is not required to produce that information again, provided that the Employer accurately describes which documents under subpoena it has already provided and provides all of the information that was subpoenaed. In rejecting the Employer’s argument that the Region provided it insufficient time to respond to the subpoena, the Board observed that the Employer was able to timely file its petition to revoke and has, as a practical matter, received a significant extension of time in which to produce the requested documents. Member Johnson would grant the petition in part to require modification of the “subject matter” request to clarify that the substance of the privileged information need not be provided. See generally, Fed. R.Civ. P. 26(b)(5)(A). He noted that the Region appears not to object, asking only that the Employer “describe the nature of the material in such a way as to maintain the privilege.” He otherwise would deny the Employer’s petition. Chairman Pearce and Members Johnson and Schiffer participated. Charge filed by an individual. Fresenius USA Manufacturing, Inc. (02-CA-039518) Chester, NY, November 19, 2014. The Board denied Coalition for a Democratic Workplace’s motion to file an amicus curiae brief in ten remanded Noel Canning cases. First Transit, Inc. (28-CA-107463, 120526) Mesa and Tempe, AZ, November 21, 2014. No exceptions having been filed the October 9, 2014 decision of Administrative Law Judge Jeffrey D. Wedekind, the Board adopted his findings that the Respondent had engaged in certain unfair labor practices, and ordered the Respondent to take the action set forth in the Judge’s recommended Order. Charges filed by Amalgamated Transit Union (ATU) Local #1433, AFL-CIO. Wilkes-Barre Hospital Company, LLC d/b/a Wilkes-Barre General Hospital (04-CA-123748; JD-68-14) Wilkes-Barre, PA. Administrative Law Judge Susan A. Flynn issued her decision on November 17, 2014. Charge filed by Pennsylvania Association of Staff Nurses and Allied Professionals, AFL-CIO. M&M Affordable Plumbing, Inc. (13-CA-121459; JD-67-14) Rockdale, IL. Administrative Law Judge Melissa M. Olivero issued her decision on November 19, 2014. Charge filed by an individual. M&M Affordable Plumbing, Inc. (13-CA-121459; JD-67-14) Rockdale, IL. Errata of November 19, 2014 decision of Administrative Law Judge Melissa M. Olivero. Errata Amended Decision. Bay Area Healthcare Group, Ltd., d/b/a Corpus Christi Medical Center (16-CA-105302, et al. ; JD(NY)-45-14) Corpus Christi, TX. Administrative Law Judge Joel P. Biblowitz issued his decision on November 21, 2014. Charge filed by Service Employees International Union Healthcare Texas. Selux Corporation (03-CA-123429; JD(NY)-44-14) Highland, NY. Administrative Law Judge Lauren Esposito issued her decision on November 21, 2014. Charges filed by Local 363, International Brotherhood of Electrical Workers, AFL-CIO. Volkswagen announced a new policy on Wednesday that was likely to allow several labor groups, including the United Automobile Workers, to represent employees at the company’s Chattanooga, Tenn., plant. The U.A.W. applauded the move because it would mean partial recognition of the union and regular discussions between management and the U.A.W., and perhaps other labor groups as well. For years, the union has been straining to get a foothold in any of the foreign-owned auto plants in the South. But VW’s new policy stops short of the U.A.W.’s ultimate goal of being the exclusive union and bargaining agent for the plant’s workers. Volkswagen has been under intense pressure from its powerful labor union in Germany, IG Metall, to grant recognition to the U.A.W. in Chattanooga. The union’s push for recognition was hurt when the plant’s workers voted 712-626 in February against U.A.W. representation. Under VW’s new policy, employee groups will be able to use company space for meetings, post information and announcements, and have regular meetings with representatives of Volkswagen’s management. Groups that have the support of more than 15 percent of members can meet monthly with VW’s human resource officials, while those with more than 45 percent support can meet once every two weeks with Volkswagen Chattanooga’s executive committee. A group of employees that opposes U.A.W. representation, the American Council of Employees, has also said that it hopes to represent VW workers in Chattanooga. Gary Casteel, the U.A.W.’s secretary-treasurer, said in a statement that the union appreciated VW’s new policy and that a majority of the plant’s workers had signed up as members of the U.A.W. He said he expected VW to make good on what he said was a commitment to recognize the U.A.W. as the representative of its members. He stopped short of saying the U.A.W. would seek to be the exclusive bargaining agent for all the plant’s employees. Maury Nicely, a lawyer who represents the American Council of Employees that is opposed to the U.A.W., called VW’s new policy a positive development. “It’s VW saying we want to talk to all groups,” he said. Daniel Cornfield, a labor expert at Vanderbilt University, called VW’s policy innovative, saying that granting unions more frequent meetings with management as they hit the 15 percent, 30 percent and 45 percent thresholds would create a competition in which various labor groups pushed to mobilize and attract members. Volkswagen’s new policy says it may not be used “by any group or organization to claim or request recognition as the exclusive representative of any group of employees for the purposes of collective bargaining.” The policy adds that any group requesting to be exclusive bargaining agent must comply with the requirements of federal labor law.